Using JitBit to promote to Safelists is fun and super easy to use. It basically gives you a permanent multi clipboard you can use over and over again. No limits, and did I mention fun! 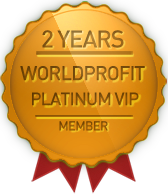 George Kosch co-founder of Worldprofit and has been in business online for over 20 years.